2-in-1 anti-aging eye balm that minimizes the look of wrinkles, dark circles, and puffiness. Use daily, morning and/or evening. Or 1-2 times per week as a relaxing sleeping mask. The smoothing effect of a serum with the comfort of a balm. A groundbreaking 2-in-1 anti-aging eye balm minimizes the look of wrinkles, dark circles and puffiness for youthful, brighter-looking eyes. A potent blend of Albizia extract, Caffeine and Horse Chestnut escin targets dark circles, puffiness and signs of fatigue caused by a hectic lifestyle. Kangaroo Flower and Mitracarpus extracts visibly firm, lift and fight wrinkles. 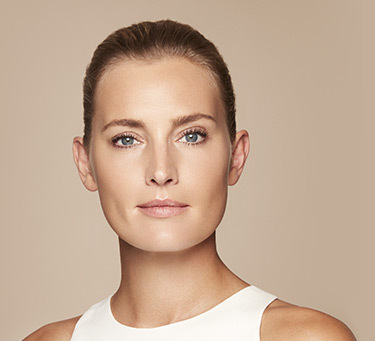 Clarins’ new generation mother-of-pearl illuminates the skin so eyes appear brighter. Smooth like a serum, comforting like a balm, this innovative, ultra-sensorial texture can be used daily or as a relaxing 10-minute mask that leaves eye contours looking tension-free and refreshed. 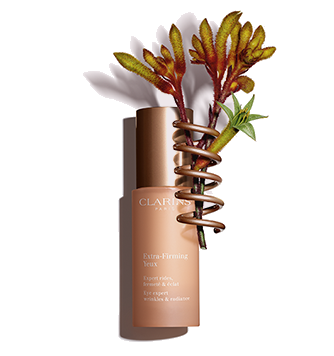 Pair with Extra-Firming Phyto-Serum—the ultimate power lift duo. *Satisfaction test - 107 women - 28 days. Daily, morning and/or evening: apply with fingertips to lower and upper eyelids, starting from the inside corners, and working outward. Use 1 to 2 times a week as a 10-minute eye mask. 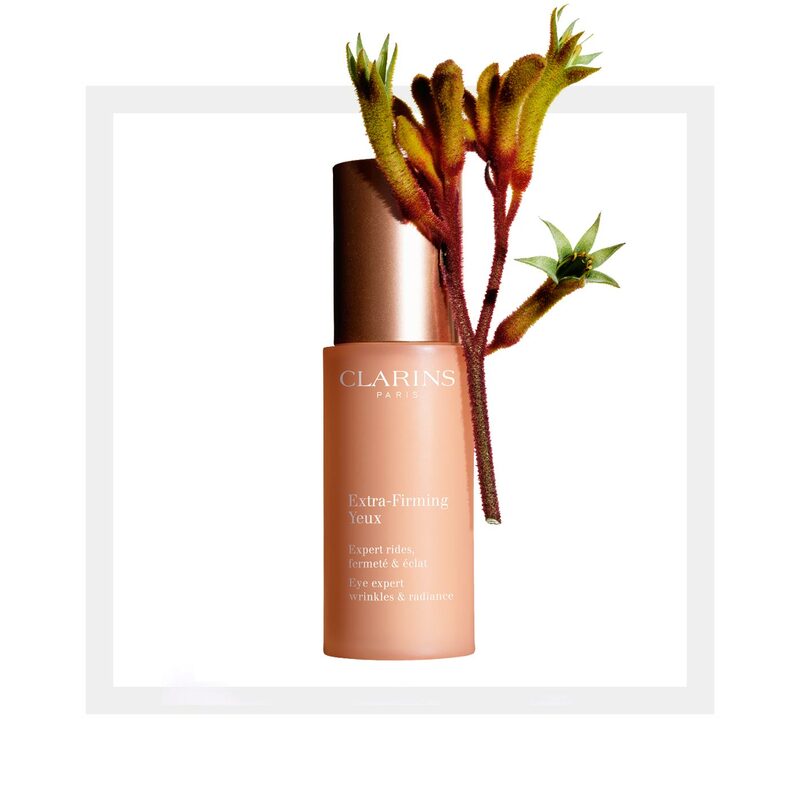 Apply using Clarins’ exclusive Draining Pressure Point Method to visibly relax muscles, release toxins and smooth tension lines. Visibly tone eyelids with this easy exercise. Open and shut your eyes while pressing firmly on upper eyelids. Be sure not to furrow your brow. Relax and repeat. 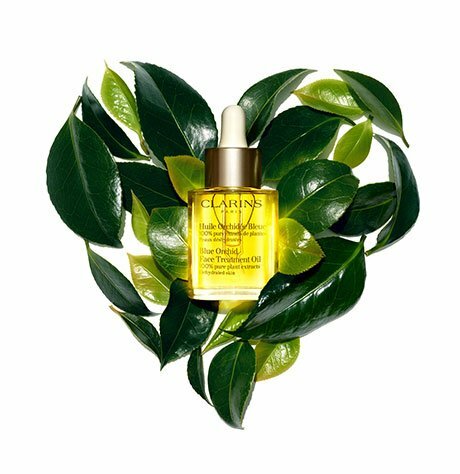 Power lift serum that visibly firms, lifts and tightens to help visibly redefine facial contours. Rated 5 out of 5 by Msbucks from Hydrating, reduces dark circles This eye cream is a little thicker consistency than others I’ve used, but I find I like the texture. It feels very hydrating, noticably reduces dark circles and puffiness, and I no longer notice fine lines in the crow’s feet area. It makes a very nice base for concealer and foundation, doesn’t clump or draw attention to creases. I will definitely buy again. Rated 1 out of 5 by Ravinia from Caused sensitivity I've never had any sensitivity to any Clarins product (that's why I love the brand!) but this irritated the skin under my eyes, and while wearing it the fragrance or something irritated my eyes and made them water. Rated 4 out of 5 by Tashtash from Smoothing under the eye Overall this is a good product. It did not get rid of the under eye circles as much as I would have liked, but it did do a nice job of smoothing out the fine lines under my eyes.I received this product for free or complimentary for testing purposes via influenster. Rated 5 out of 5 by Kawale from Worth It!! I received this product to review from Influenster! I truly love it ! I suffer from fine lines underneath the eyes and I can say this helped my under eye concealer go on much smoother. I also noticed a difference in the look of my eyes , giving it a more youthful appearance. The product is not strong and smell and light going on. Definitely recommend!! Rated 4 out of 5 by Carol142 from Instant results I received some samples of the Extra Firming Eye balm to test and review compliments of Influenster. The balm has the consistency of a light cream and absorbs quickly into the skin with no sticky residue. I saw an immediate lessening of the fine lines in my under eye area. It definitely has an instant firming effect but for me the effect was temporary. I was only using samples so I can't say if there are any long term or lasting benefits, but if you want to look good for a special event this is great. The only thing I really disliked about this product is how heavily fragranced it is. It has a very strong floral scent. Rated 5 out of 5 by DolSa79 from Liked it I liked it. It has a nice floral kind of scent to it. It is also made of all natural ingredients. It is nicely absorbed by the skin. Loved how it made my skin feel. But my sample was too small to notice any visible difference around my under eye. I received this product complimentary for testing purposes. Rated 5 out of 5 by Shelly21 from Great eye cream! I've received a sample of this from influenster in the form of two small tubes and I've been using it daily, I don't have any fine lines so I don't know if it would help with that but the dark circles under my eyes are definitely gone. Since a little seems to go a long way and I'm still using the first small tube I'm going to ask my teenage daughter I give it try for her dark circles. Rated 5 out of 5 by Tanyahfz from Lovely Eye Cream The skin around my eyes is sensitive. It's so sensitive that anything will make me break out. I noticed the first very slight signs of aging in my eyes and have tried the best eye creams out there. I've tried everything but nothing works. This product has ended my search.